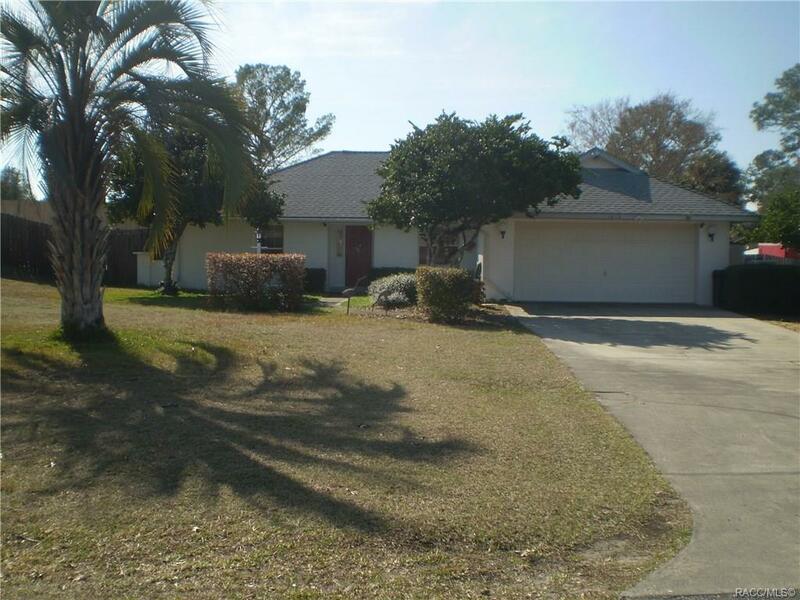 3 bedroom, 2 bath, 2 car garage home with so much to offer- almost 1600 sq. feet of living area comes with a whole house generator in its own secure shed w/2 55 gallon drums for fuel, cathedral ceilings, Florida room, wood burning fireplace (owners use electric logs), 10x20 screened porch overlooking a private fully fenced backyard, new carport, newer hot water heater, frig & dishwasher, Roof 2007 hurricane shutters, video security system, hardwood flooring under carpet. Great location in Foxwood subdivision only minutes to shopping, schools & medical facilities! FURNITURE OPTIONAL. Also 2 storage areas in back. Hot tub hook up in Family/tiki room.